Most of us know that food is medicine, Hippocrates told us that, back somewhere between 470 and 360BCE. He worked out that disease was not punishment by the gods for wrongdoings but was actually a result of lifestyle choices, diet and environmental factors. So if our lifestyle choices can cause us ill health and food can heal us, what are we doing? Sure, maintaining perfect health can be difficult, for the body needs to cleanse and detox, which is often what’s happening when ill health strikes. Stress and lack of nutrition are big factors in our ongoing state of health. There are environmental factors that are out of our hands and genetic predispositions that play a part in how our body responds to our life and our choices. There are the dreaded ‘dis-eases’ that pull us up and even threaten our lives, forcing us to get a professional opinion. Sometimes we need help and heaven forbid, drugs, to help us get back on track or to save our life. And other times all we need is to know what is going on and work back from there to regain our health. I remember reading a little quote many years ago that struck a chord, ‘for every choice you make, you create your life’. Since then I got serious about my choices and my health has been a work in progress since, healing my body, mind and emotions from my life and the choices I have made in the past. We all have choices in every aspect of our life. You might say that some things happen to us that are out of our hands, that too is true, but we can choose how we react or respond to those things. I know when I haven’t taken the time to self inquire (stillness and silence) and instead have knee jerk reactions, the outcome has been unfavourable for me and anyone involved. On the other hand if thought out and the many options at hand were considered before I responded, better outcomes were often the reward. So lets think this out for a minute, when it comes down to food, are you buying, cooking and eating food without choice, thought or feeling? Do you chow down on something that might taste good but is seriously lacking in nutrition? Are you eating quickly and mindlessly because it is lunch time or dinner time? Do you ever think about why you eat, what is the purpose? And if you do, are you following a food regimen that you believe to be the best for you? At times I have been completely unconscious and unconnected to the food I am eating. It is during these times that I feel my worst, lack energy and find that my body is constantly telling me that I could do better by choosing more wisely. Yoga and education has helped me to have a better relationship with myself, my body and with food. After all I know that if I want to be around for a while in this body and reap the benefits of a life well lived, then I’d better take care of myself. How do I do food better and make healthy choices without feeling like I’m missing out? I ‘try’ to make shopping, preparing, cooking and eating a mindfulness practice. Sure it is difficult to do that every day, but being alert to what I buy, how many hands has it gone through to get into my kitchen, is it in a packet, has it been altered, added to or subtracted from? How sustainable is the food and has any harm been caused by its creation? 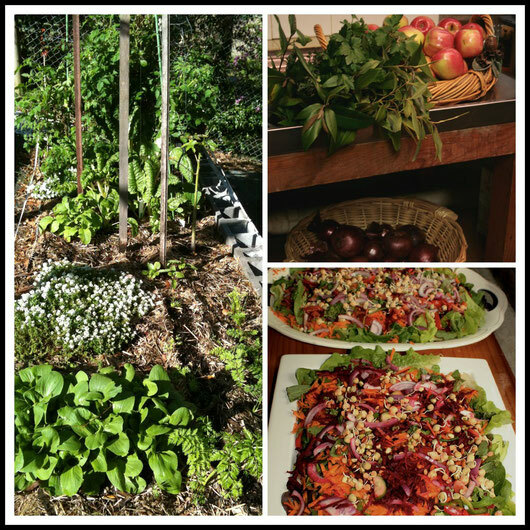 Friends of mine organise a weekly or fortnightly menu, based on what they have in the house, what produce they can grow or buy, what is in season and what time they have to allocate to cooking each day. So for me, the days that I work late into the evening, I don’t really want to be cooking food that takes up a lot of time to prepare or digest. I don’t like to eat too close to bed time, which can be tricky. So best practice for me is to eat soups and salads on the late nights and save the bigger meals for when I’ve time to enjoy the preparing process and digest them before bed. Trekking in Nepal has been a wonderful teacher for me, especially around food. I can’t eat the way I do at home but I can soften my attitude, be sensible, enjoy the experience and come home healthy. If I bend the rules a little, then I pull myself back on track pretty quickly, when I can. At best my balance is 90/10, 90% of my time is eating and drinking pure, organic produce and the remaining10% I can lash out and go with the flow more. Other times it might be 80/20 or 70/30 but I don’t let that go on for too long. Personally my body will tell me very quickly when I have strayed too far. So if you are finding that your health or your weight isn’t where you want it to be. Or you might be questioning the purity, quality or quantity of what you are eating with prevention of disease in mind, then give food mindfulness a go. Start to make food your health care, make it a priority…don’t wait until you are sick or have an unfavourable diagnosis before you make the changes. That is when it’s hard to make the big changes that may be required to regain your health. Make it happen now, so that you may avoid health hiccups and give yourself the best chance of a healthy, happy life.